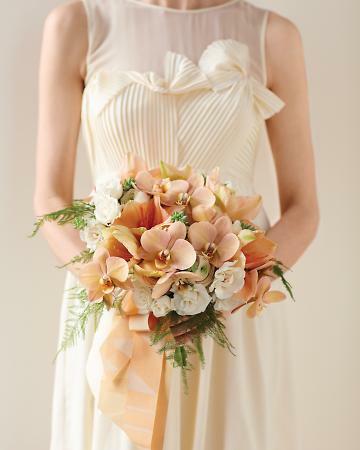 Hey Brides, The holidays are beautiful. Christmas decorations, great food, memories with loved ones and many many new marriage proposals. Congrats to all those whom recently got engaged! But after the holidays.....dreary winter rears its head, at least up north in Kentucky, and you wonder when the smells and colors of spring will return. Well the bursting colors of flowering orchids in my family's home over this holiday season made me smile, and then I realized how many people underutilized orchids in their lives, especially in their weddings. 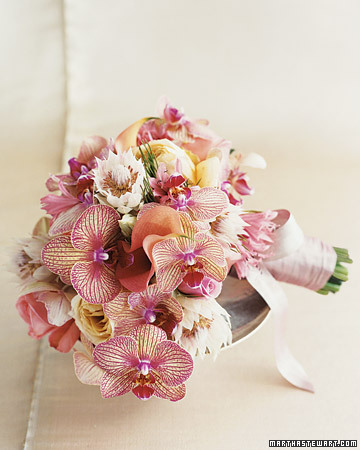 Many brides are afraid of orchids because of cost or lack of knowledge. 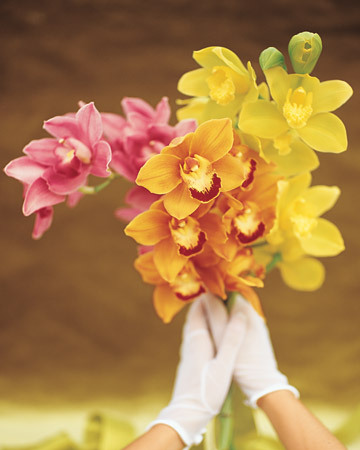 Well, here you go brides, below are a few commonly used cut flower orchids and their bios. 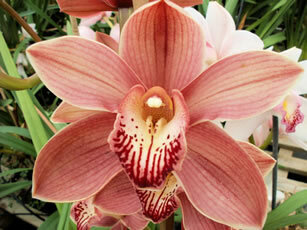 Not all orchids are outrageously expensive, and they come in almost any color imaginable. 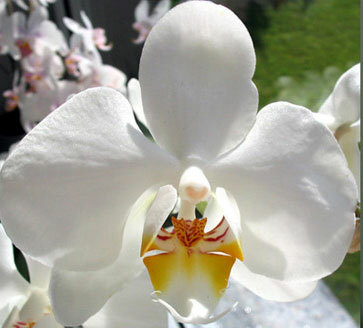 Most people are introduced to orchids through Phalaenopsis orchids. These are the thick-leaved plants with elegant and graceful, arching sprays of blooms. These plants have been extensively hybridized, and there are thousands of Phalaenopsis hybrids, ranging from the stark, classic white hybrid (often called a moth orchid) to jewel-like miniatures with clouds of yellow and candy pink blooms. 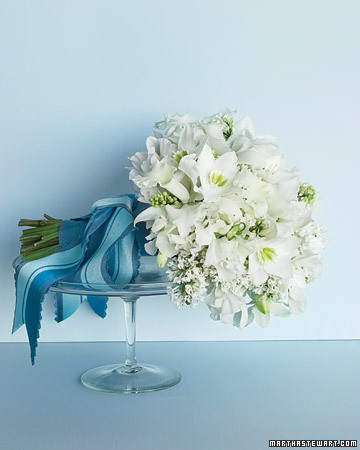 These orchids are delicate and add a "wow" factor to bouquets and draping, elegant centerpieces. 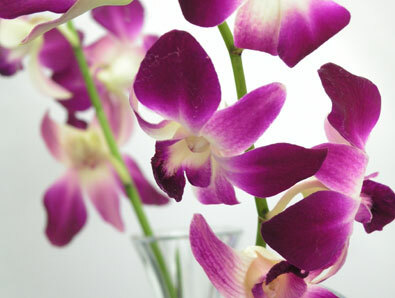 Most commonly known as the "Thai orchid," this is another very common and popular orchid which comes in a wide variety of colors (white, green, purple, pink, yellow, etc). This is the orchid you find woven into a necklace and strung around your neck once you get off the plane and arrive in Bangkok, Thailand. 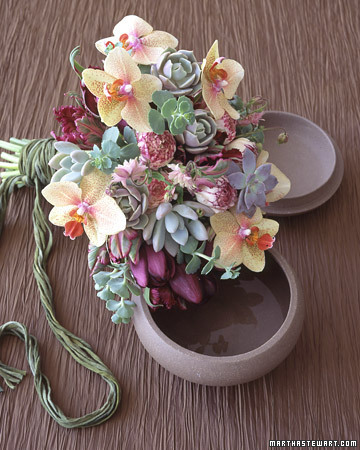 Smaller in size than the Phalaenopsis, they add a punch of texture to a bouquet. 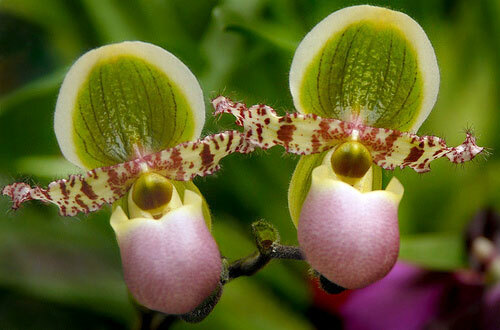 My favorite type of orchid is the lady slipper orchid because of their strange appearance. 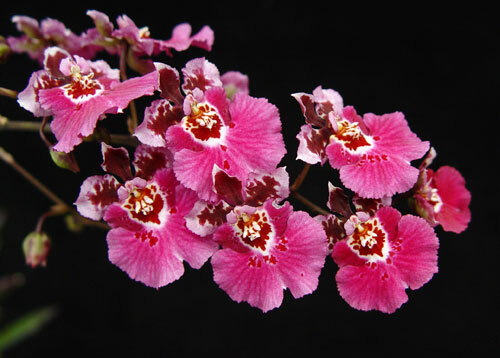 They are like no other types of flowers and have pouch-shaped lips. 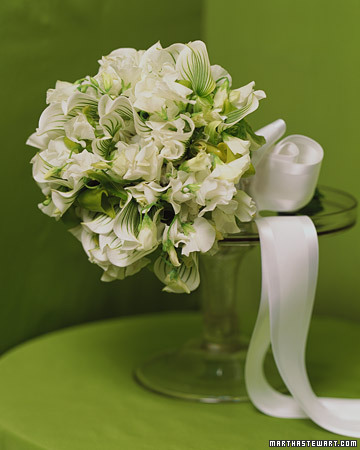 While these types of flowers come in girlie soft pink, eye-catching yellow, innocent white and other soft colors, many of them are dark red, brown and green. These are not the most cost-effective but they would make for an amazing and incredibly unique bouquet. 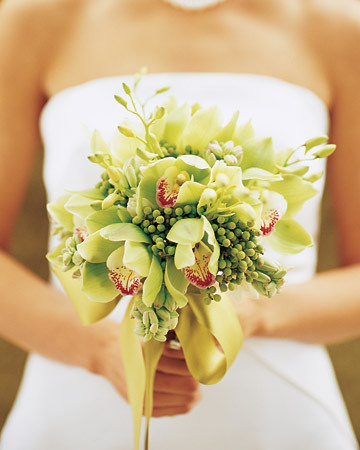 Boat, or Cymbidium orchids are probably the most popular flowers used in weddings today because of the big, showy and long-lasting flowers. The pink, yellow, green, red, brown, peach or combination colored flowers also last superbly as cut flowers—if you change water daily and cut back the bottom of the spike, they can look pristine for a month or two in the vase. These beautiful blooms, with stronger petals and less bruising than the Phalaenopsis, are an amazing addition to an elegant bouquet. These out of proportion flowers, also referred to as dancing ladies, have out of proportion big lips that look like the skirt of an evening gown. 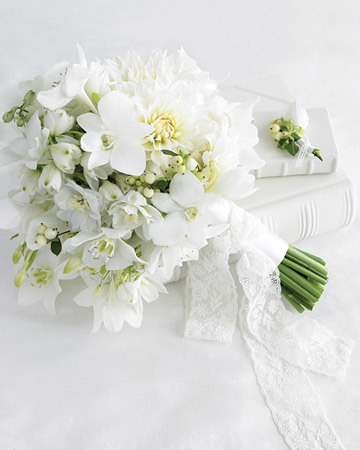 When multiple stems or sprays are put together, they create an amazing celebration. 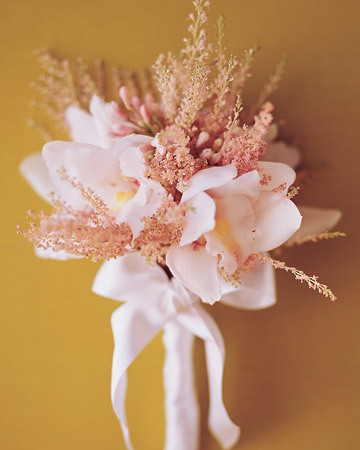 Their flowers come in yellow, brown, white, red, pink and a combination of these colors. 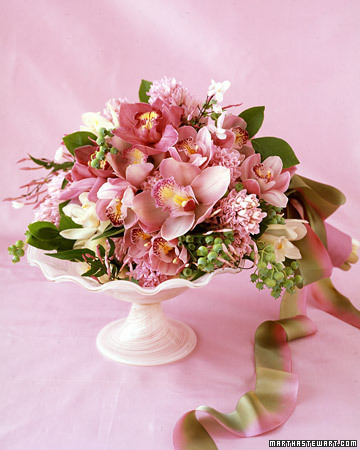 Below are some examples of beautiful bouquets filled with orchids.